Family and Cosmetic Dentistry at its best! Our dental practice is dedicated to making every visit a pleasant experience that is genuine, consistent and friendly. Thank you for visiting our internet site. 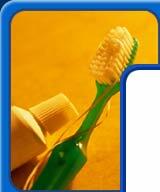 Our office offers a wide range of dental services. As an up-to-date dental office, we want to give you the opportunity to stay in touch with us and our services. If you are not familiar with our office and your first contact with us is online, we would be pleased to hear from you! Simply tell us your needs and questions. We will be more than happy to help. Our office number is 610-277-0755. We are looking forward to hearing from you. In brief, you should know the following about us: our office was established in 1991 and has been responsible for providing outstanding dental care ever since. Our office was voted by our patients again in the Times Herald Readers Choice Award in Montgomery County for Best Family Dentist in 2014, 2013 and also in 2010. We were also voted in the Times Herald Readers Choice Award in Montgomery County as One of the Best Cosmetic and Oral Surgery Dentist in 2009. We invite you to experience our hospitality and professional care. Come join our regular patients that value our staff and dental services. Our business is located at 1733 Markley St, Norristown, PA 19401.